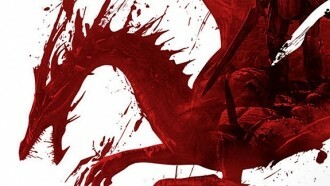 Executive producer of Dragon Age II Mark Darrah recently took to the BioWare Social Network to discuss the conclusion of the second game and to ask fans to give their feedback regarding what Dragon Age means to them and where they would like to see it go in the future (Dragon Age III, anyone?). Darrah started the post by noting the 1 year anniversary of Dragon Age II and thanking fans for their continued support of the franchise. The game recently surpassed 1 million “Likes” on Facebook and with the most recent patch now available, the development team will now be focusing on the next phase of Dragon Age’s future. Moving forward, the development team wants to hear from the fans, and not just on the forums, Facebook or Twitter. BioWare will be attending a number of conventions and gatherings in the coming months, including PAX East next month in Boston. Dragon Age: Origins was released in 2009 and received rave reviews from fans and critics alike. Metacritic ranked the PC, PS3 and Xbox 360 versions with scores of 91, 87 and 86, respectively. Dragon Age II, on the other hand, has generally received less favorable reviews than the original. GameSpot felt the title suffered from “unnecessary simplification and unfocused storytelling” but overall it was still a pretty solid offering. Darrah concluded the post by promising to show more about the future of Dragon Age when the time is right.